Morton J. Kent, 93, of Palm City, FL and Lookout Mountain, GA passed away at his Florida home on September 4, 2018 with family by his side. He was born November 9, 1924 to the late John William and Bessie Handelman Kent in Bayonne, NJ. He is also predeceased by his brothers Harold and Irwin I. “Wynn” Kent, sister-in-law Marian, and grandson, Thomas Kent. Signal Company attached to the 20th Armored Division. Following the war, he returned to the University of Iowa where he obtained both his bachelor’s and master’s degrees in actuarial science. It was there that he met his beautiful, beloved bride, Martha Dustman, on a blind date. They married on August 17, 1948 at his parents’ home in New Jersey and recently joyfully celebrated their 70th anniversary with their sons and their wives. He began his career as an assistant actuary at Security Mutual Life in Binghamton, NY and then as president of the Morton J. Kent Company of consulting actuaries. He moved his young, growing family to Lookout Mountain and joined Interstate Life in 1956 where he served in several capacities. In 1972, he established his own venture capital company, Vencap Investment Corporation. He was a Fellow in the Society of Actuaries and a member of the American Academy of Actuaries. 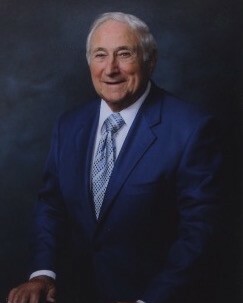 He dedicated much of his life to serving Orange Grove Center and its clients as a board member and through fund raising efforts. His imagination and willingness to play a key role in challenging innovative ideas led to many successes at Orange Grove. He was honored for his service by the naming of the Morton J. Kent Habilitation Center in 1993. He was awarded Orange Grove Board Member of the Year in 2013. He served four governors of the State of Tennessee on various advisory committees for which he was awarded the Service to Mankind Award in 1972 by the Chattanooga Downtown Sertoma Club. Other involvements over his lifetime included president and board member of Chattanooga Area Council for Alcoholism and Other Drug Abuse, The McCallie School Board of Trustees (from which all 5 sons and 7 grandsons graduated), executive board of Cherokee Area Council of Boy Scouts of America, board of Chattanooga-Hamilton County Speech and Hearing Center, and the Lookout Mountain Zoning Appeals Board. He attended Lookout Mountain Presbyterian Church and Palm City Presbyterian Church and was a long time member of the Fairyland Club. He and Martha enjoyed traveling, tennis and golf, growing dahlias and gardening, attending McCallie sporting events and cheering on their grandchildren and great-grandchildren. They really loved Lookouts Baseball. We are all going to miss Granddad’s jokes that were specially prepared for most family gatherings. Morton’s greatest joy and pride was his family. He is survived by his wife, Martha; his five sons and their wives, Steve and Suzanne, Don and Hollie, Craig and Patsy, David and Lorrie, Jonathan and Clare, all of Lookout Mountain; his 18 grandchildren: Dusty (Anna) Kent, Scott (Marlea) Kent, Beth (Joseph) Wingfield, Adam (Heather) Kent, Katie Kent, Michael (Lydia) Kent, Susan (Kyle) Bryant, William (Ashley) Kent, Kellie (Hank) Currin, Mary Clare (Seth) Holm, April Kent, Jennifer Kent, Melanie Kent, Alex Kent, Christine (Andrew) Betts, Rachel Kent, Abbie Kent and Ben Kent; his 20 great-grandchildren: Fletcher Kent, Thatcher and Thompson Kent, Caroline, Taylor and Mattie Kent; Teddy, Wilder, Hank, Kent and Salt Wingfield, Follis Bryant; Moses, Jude, Mercy, Andrew and Paul Kent, Hunter Currin; Helen Holm and Charlotte Kent. In lieu of flowers, please consider making donations to Orange Grove Center, 615 Derby Street, Chattanooga, TN 37404. The family wishes to thank Bobby & Annie Baran and Theresa Majkowski whose caring friendship was so important to Morton. The family would also like to thank Alan Pearce, owner of TenderCare Services of Stuart, FL and their caregivers, especially Jen and Pauline, who provided such compassionate care to both Morton and Martha. Visitation will be in the Fellowship Hall of Lookout Mountain Presbyterian Church on Tuesday, September 11, 2018 from 10:00 to 11:15 a.m. with a memorial service at 11:30 a.m. in the sanctuary. Burial will be private at Chattanooga National Cemetery.